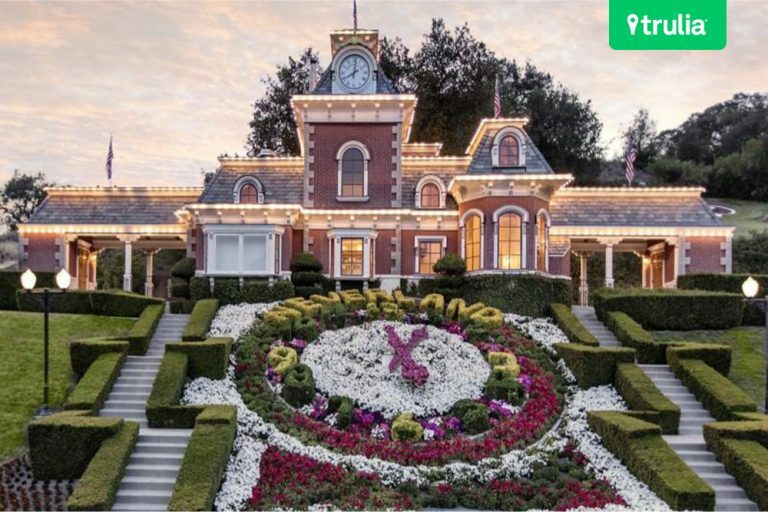 Did Michael Jackson's Neverland Ranch Get A Makeover? Rumor has it that the King of Pop’s former home has been renamed Sycamore Valley Ranch. If you have millions to burn, here’s a once-in-a-lifetime real estate opportunity. Word on the street is that the estate formerly known as Neverland Ranch, aka the home of the late Michael Jackson, is hitting the market once again. But there’s a catch: It has a new name. Now called Sycamore Valley Ranch, the sprawling property, which was designed by award-winning architect Robert Altevers in 1982, was on the market just two years ago with a price tag of $100 million. By comparison, at the current price of $67 million, you’ll get a slice of history at a major discount. Tucked in the picturesque town of Los Olivos, CA, near Santa Barbara, the compound once inspired by Peter Pan has officially matured. Set on 50 acres of bucolic wonder, the property has been transformed into a more welcoming, functional estate. A 12,598-square-foot, five-bedroom, eight-bathroom mansion anchors the property, preserving the whimsy of Neverland but fused with the exposed timber beams and 18th-century French oak parquet floor that denote French Normandy architecture. Two guesthouses offer plenty of space for visitors, and multiple additional structures grace the massive estate. The Ferris wheel and other amusement park rides from Michael’s residence have departed, but the estate certainly maintains a variety of outdoor activities. A red barn is ideal for an aspiring equestrian, while a train station featuring a kitchenette, loft, and two fireplaces is a unique component. A stand-alone movie theater seats 50 guests, while a dance studio provides the perfect spot to get some exercise. Another three-bedroom ranch house is connected to the stables, while a staff home overlooks beautiful Figueroa Mountain. The legendary song-and-dance man, who tragically died of a drug overdose in 2009, originally purchased the property for $19.5 million in 1987.